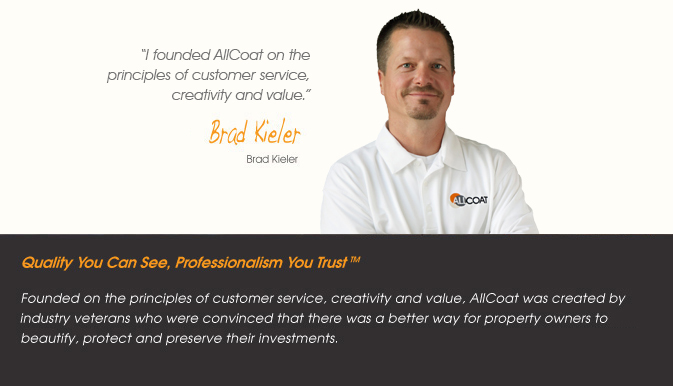 AllCoat is not a franchise or part of a large conglomerate. We are a local business with over a decade of hands-on coatings experience. Your call to AllCoat will be answered in a professional and courteous manner. possibilities of what can be achieved to enhance your home or property. With over 15 years of field experience and over a million square feet of flooring under our belts, we get the job done right the first time. 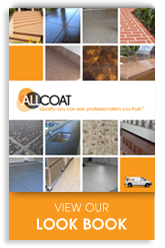 AllCoat is an independent company, this means we are able to take advantage of over 100 products from 15-plus manufacturers. This broad palette of colors, materials and custom options ensures that we have a design option that fits your special performance or color needs. AllCoat can give your home or building the curb appeal it deserves. Starting at the driveway, we have a number of systems to enhance your concrete, or we can give your old tired pavers a face-lift with a fresh coat of sealer. Next, we can transform your garage into the shop floor you always wanted, or a showroom for that classic car. If the garage isn’t your passion, we can help you design the perfect backyard paradise. Our designers can help you turn that boring pool deck or patio into a beautiful flagstone or stone overlay that will put the final touch on your private island “oasis” or “Tuscan” retreat. Lobbies, hallways, meeting rooms, high-traffic areas of homes and businesses… the possibilities are endless. Whether you already know exactly what you want, or need a little help. 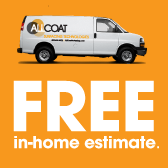 When you contact AllCoat for a FREE ESTIMATE, you'll notice that your sales person is well versed in the installation of our products. 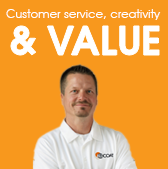 That's because they're more than just a sales person, every one of them has spent numerous hands-on training hours learning the installation process. 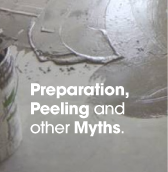 You'll see that our passion for creating concrete "works of art" shows in everything we do.